David is a former lecturer in the English Department of Trinity College specialising in twentieth century literature, most famously the works of James Joyce. 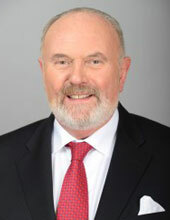 David Norris is a Senator in the Irish Seanad (Senate) for Trinity College. He has been, and remains, one of the most important figures in the Irish gay rights movement, fighting successfully for decriminalisation of homosexuality in 1992 after a long legal battle with the Irish State. Following decriminalisation he became involved in other human rights issues and was also involved in various campaigns to preserve Georgian Dublin in previous years. He has also restored his own home to the glory of that era. 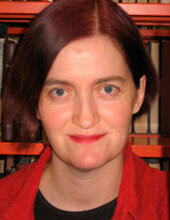 Academy Award-nominated novelist Emma Donoghue is an Irish-born playwright, literary historian and novelist now living in Canada and is considered to be one of the world’s most influential lesbian writers today. Hebrew, Greek, French, Italian, and Portuguese. Emma has a long association with the Dublin Gay Theatre Festival, which has showcased two of her works – the one-act comedy Don’t Die Wondering (2000) and the historical drama I Know My Own Heart (1993). Terrence most recent play, Unusual Acts Of Devotion, opened the season at Philadelphia Theatre Company and will be seen in a new production next month at the La Jolla Playhouse. In August, the 5th Avenue Theatre in Seattle will present the world premiere of his musical adaptation of Catch Me If You Can with a score by Marc Shaiman and Scott Wittman. Next season, the Kennedy Center will produce three of his plays under the title Terrence McNally’s Nights At The Opera: Master Class, The Lisbon Traviata and the world premiere of Golden Age. Last season, his musical adaptation of The Visit (Kander & Ebb) was produced at Arlington’s Signature Theatre. Recent plays include Deuce with Angela Lansbury and Marian Seldes on Broadway and Some Men at off-Broadway’s Second Stage. He has won four Tony Awards for his plays Love! Valour! Compassion! (as well as the New York Drama Critics’ Circle Award for Best American Play and the Outer Critics Circle and Drama Desk Awards for Best Play) and Master Class and his musical books for Kiss Of The Spider Woman (Kander & Ebb) and Ragtime. Recent Broadway credits include the revivals of his plays The Ritz and Frankie and Johnny In The Clair De Lune. His other plays include A Perfect Ganesh, Corpus Christi, Dedication or The Stuff Of Dreams, The Stendhal Syndrome, Lips Together, Teeth Apart (Drama Desk Award Best New Play) and It’s Only A Play. Earlier stage works include Bad Habits (Obie Award Best Play), Where Has Tommy Flowers Gone?, …And Things That Go Bump In The Night and Next. He also wrote the books for the musicals The Full Monty, The Rink (Kander & Ebb), and A Man Of No Importance. The San Francisco Opera presented Dead Man Walking with McNally’s libretto and music by Jake Heggie. 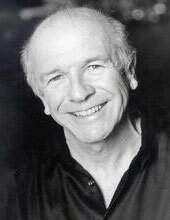 McNally has written a number of TV scripts, including Andre’s Mother for which he won an Emmy Award. He has received two Guggenheim Fellowships, a Rockefeller Grant, a Lucille Lortel Award, and a citation from the American Academy of Arts and Letters. He has been a member of the Dramatists Guild since 1970 and is twice the recipient of the Hull-Warriner Award for Best Play.